Code-named Operation Sunrise, the military action involved India ensuring massive mobilisation along its border. No Indian soldier crossed the border. 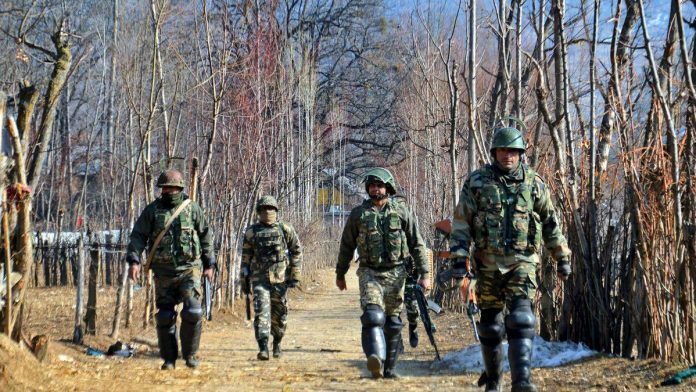 New Delhi: The Indian and Myanmarese armies have, in a coordinated operation, destroyed at least 10 camps belonging to an insurgent group in Myanmar, which had become a threat to India’s mega Kaladan Project in the neighbouring country. The military action, carried out over the past month, was codenamed Operation Sunrise. Sources in the Indian Army told ThePrint that its soldiers did not cross over but talked of massive mobilisation along the border, especially on the Mizoram side. Sources said that ‘joint operations’ between the Indian and Myanmarese armies were carried out between 17 February and 2 March. The target was the Arakan Army, an insurgent group trained by the Kachin Independence Army (KIA), which is designated as a terrorist outfit by Myanmar. KIA is suspected to be supported by China. “The Indian Army only went in for a border strengthening posture where we deployed additional troops along with surveillance equipment,” a source said insisting that no soldier went across. Another source said that the operations were carried out by the Myanmar army. Since 2015, the nearly 1,000 members of the Arakan Army had set up camps near the Kaladan Project, which had become a threat to the project and Indian workers there. The Arakan Army is believed to have left its bases in Kachin area, North Myanmar (adjoining China), to move down south. This southern region of Myanmar is located beside Lawngtala district of Mizoram. It is also exactly the areas that cut through the proposed Kaladan Project. The Kaladan Multi-Modal Transit Transport Project aims to connect the seaport of Kolkata with Sittwe, a seaport in Myanmar’s Rakhine State, by sea. In Myanmar, it will then link Sittwe seaport to Paletwa in Chin State via the Kaladan riverboat route, and then from Paletwa by road to Mizoram in northeast India. Since the middle of last year, a series of meetings between the armed forces of both the countries were held to work out a coordinated operation, against the Arakan Army and the National Socialist Council of Nagaland (Khaplang) or NSCN-K, a Naga insurgent outfit. The Myanmar army has a ceasefire agreement with NSCN-K but still took over the group’s camps in Taga in February. Following this, the Myanmar Army began its operations against the Arakan Army.